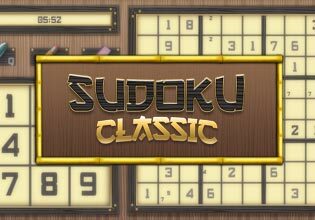 Sudoku Classic is exactly what it says - the classic game you know and love! Play against the clock as you fill in the grid, but be careful or you'll lose time fixing mistakes and also lose the Perfect Bonus! Choose from Easy, Medium, and Hard puzzles to customize your challenge!